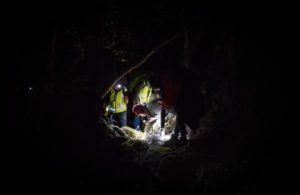 One thousand less “killing machines” are roaming the Abel Tasman National Park with the 1,000th stoat caught in the Park’s stoat trapping network. The 1,000th stoat was found recently in a trap located inland from Torrent Bay near Cleopatra’s Pool. 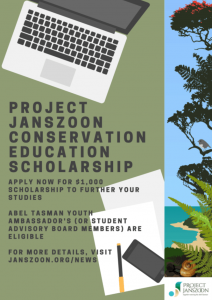 It represents a significant milestone for Project Janszoon and the Department of Conservation’s work to transform the Park’s ecology. 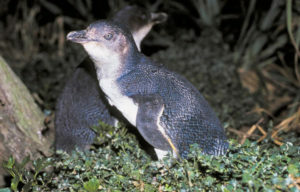 Project Janszoon’s Operations Manager Andrew Macalister says the milestone represents good news for the recovery of bird life. “We cannot return the larger charismatic birds like kaka and kiwi back to the Park without getting the stoat population under control. The success of the stoat trapping network paves the way for us to reintroduce more of these stoat-vulnerable species,” he says. Department of Conservation biodiversity ranger Mike Ogle says stoat numbers tend to peak in the summer months but the peaks are fewer every year. “The real success will be the recovery of bird life and the indications are we are going in the right direction. A significant proportion of the stoat kills are on the perimeter of the trapping network so this tells us we have knocked down the resident stoat population and are dealing with the immigrants. Ultimately this means stoat-vulnerable species like kaka will have a much better chance of sucessful breeding in the core of the Park,” he says.